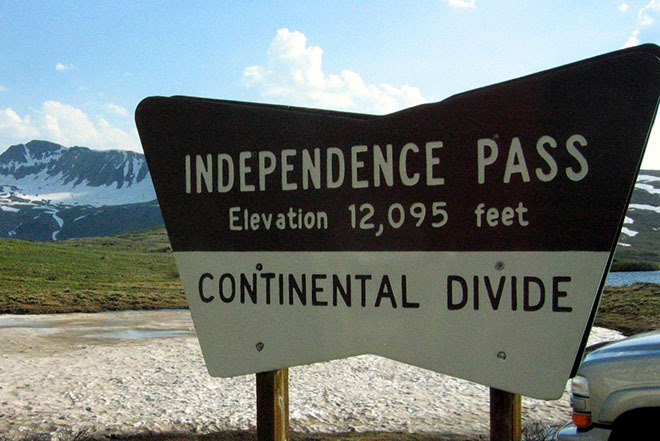 Colorado Department of Transportation (CDOT) crews have been working for about a month to clear the way for an on-target opening of Independence Pass on Thursday, May 25 at Noon. "Sometimes our only chance of getting much needed maintenance work done, including filling potholes and removing rocks and debris that damage the roadway over the winter, is right after we get the pass cleared of snow," said Tim Holbrook, Transportation Maintenance Supervisor that covers the Aspen side of the pass. CDOT crews will continue the business of keeping this and other state highway mountain passes safe and in good condition for the ensuing summer season ahead. Motorists and cyclists are reminded to always check conditions prior to traveling mountain passes, as spring snowstorms could close them temporarily or slow traffic at times. The latest condition information is available at http://cotrip.org.